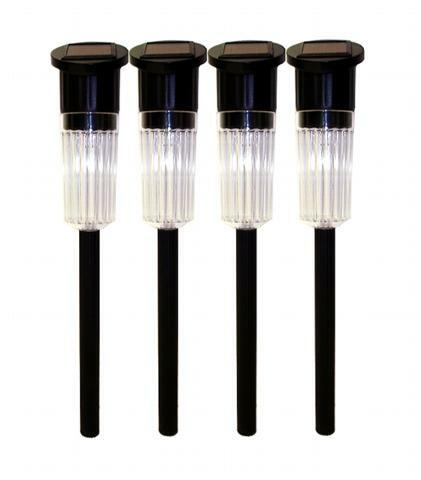 Add these 4 long post Solar Lights to your landscape, driveway, backyard patio or garden decor. Elegant and simple our solar lights will add style to your walkway, yard or driveway without having to figure out wiring. Solar outdoor lights require no power source, the solar lights can be installed anywhere. Solar panel collects natural sunlight and charges the internal rechargeable batteries during the day, as nightfall’s these solar lights turn 'on' and shine your garden or walkway.